Real Madrid and Barcelona want to sign Milan Skriniar, according to Mithat Halis and the agency who represent the Inter defender. Skriniar swapped Sampdoria for Serie A rivals Inter in 2017 and the Slovakia international has established himself as one of the best centre-backs in the world. The 24-year-old has been linked with Premier League giants Manchester United previously, but he could join Madrid or LaLiga champions Barca at the end of the season. "Real Madrid want to sign him, so do Barcelona. If they manage to convince Inter, they could sign him this summer," Halis – who works for Stars & Friends – told Spanish paper As. "Skriniar is a great professional. If Real Madrid really want him, they will try, but there are many cannibalistic agents who try to steer players to the clubs that they want. "For example, Mino Raiola – who represents Paul Pogba and Zlatan Ibrahimovic – wants to do that. He wants to confuse Skriniar, but he is a player who is contracted to our agency. "Inter paid €28m plus bonuses for him and six months later Manchester City offered €55m. Now he is worth around €100m. "I think a possible transfer could be complicated precisely because these cannibal intermediaries try to get involved." 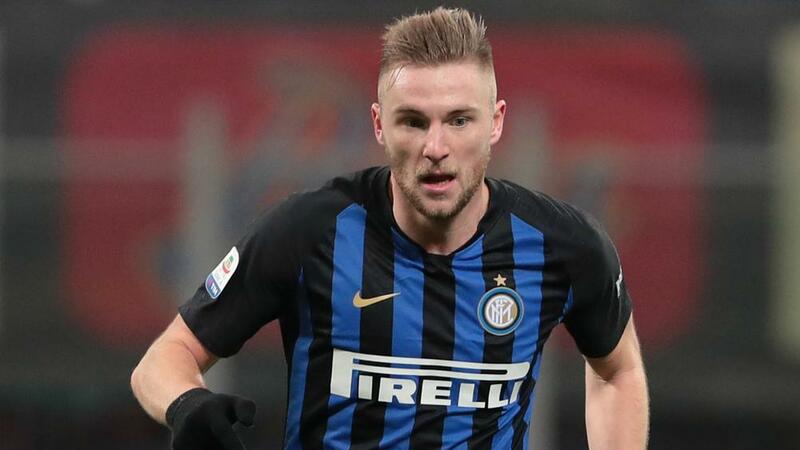 Skriniar has made 25 Serie A appearances for Inter this season, and 33 in all competitions.